Welcome back. 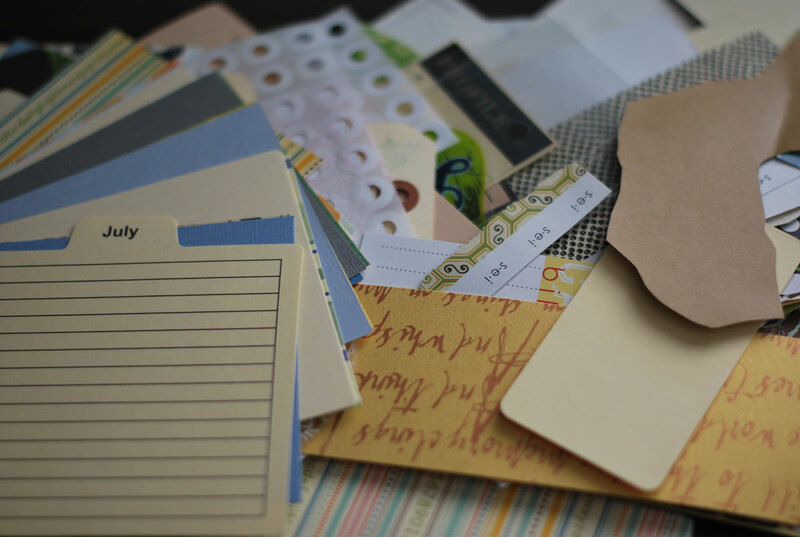 This is the seventh installment of: “Keep a 5 year Journal.” At midmonth, I share my progress and the list of questions for the upcoming month. Click here to see all 12 months. This month I’m just so glad I started this project because it’s using up stash. With this being the month in which new CHA releases are announced, I’m cleaning out the old and making room for the new – and do I have my eyes on some new stuff! I can’t believe all of the goodies coming this fall. So while I impatiently wait, I am making my cards and using up my ‘old’ scrapbook supplies and scraps. I hope you’re still keeping this fun and I hope you’ll share how you’re doing in the comments. I used to be able to open these and save on my iPad. I can’t now. Did something change? I love this project. Thank you for bringing it to my attention. I am starting it on my birthday next month. 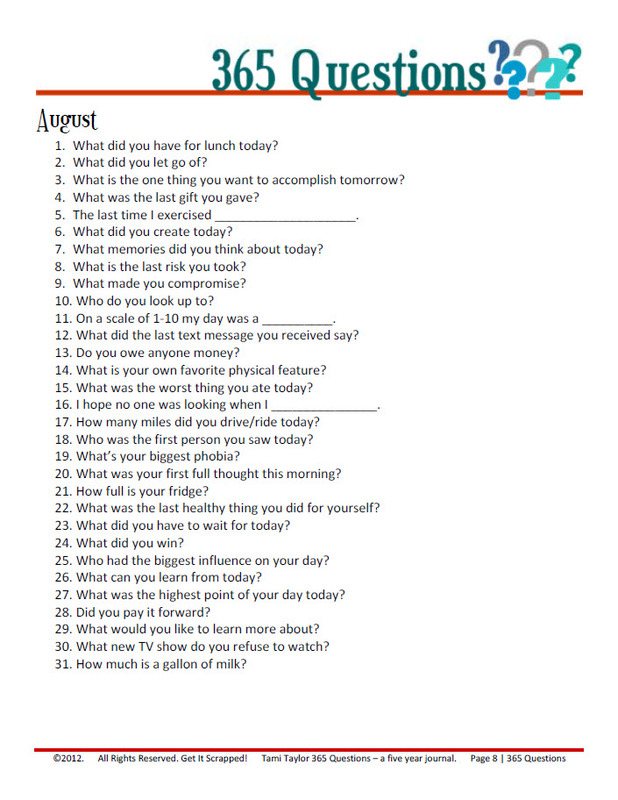 I have prompts all the way to August…..now to just get started!! Love this idea, and the prompts are so helpful. I just need to figure out how to begin! I have several notebooks, to start. But….. Thanks and LOVE these ideas. As a fellow lefty….and someone that printed the prompts and started with the month of September….. I made my notebook, I found (by luck) a small binder, turned it to where the holes are at the top of my paper. I found several pieces of paper around the house, hole punched them at the top. Michael’s craft store has oodles of paper as well. No binder seam, and no spiral in the way! It was a lot of fun making it, I added a few drawings from my granddaughter, and personalized the paper as much as I wanted. Keianna, nothing has changed on this end. Often when something like what your experiencing happens it’s because the pdf reader needs to be updated. Can you check that and if it doesn’t work email me and we’ll figure out what’s going on. Tammy, I would think cards would be easier. Do you use ATCs? There are some cool ATC holders then you do not have to worry about the spiral binding you just pull the card off write and then replace it. Hi Keianna. Im usingmy iPad right now and was able to open the August document. If you still have probs use the contact link above to tell me. I just found this 365 day questions and I wish I found it in January! But I’ll just start today with August first and just go from there! Looking for cute journals to do my questions in! :) Will also be posting all of them onto my blog I just started! When will Septembers prompts be out? Hi Amy, sorry for the delay I’ve been very ill. I’m hoping to get them up tomorrow. Thanks. And I totally get the not finishing thing – for some reason on this i’m determined. What a great idea! I just found out about it (two years later), but for a project like this it is never too late. I will start on August 10th as that day marks a temporary change in my life, I will change continents for work for three months! I am thinking of getting a nice notebook and have a page for each day and a line or two for each year. Wanna do that for each single day from now on! I think the notebook can rest on my night stand and I will fill it in at the end of the day. I am coming back for the August Prompts. I am about to finish my second month – 3000 words in (so about 50 words a day). Certainly more than I would have recorded without the prompts. I did notice that the question for August 4 “What was the last gift you gave?” is very similar to the question from July 29 “The last gift I’ve given was ________________.